One of our goals in the redevelopment of The Hub was to attract unique restaurants that complemented the reimagined mixed-use project. 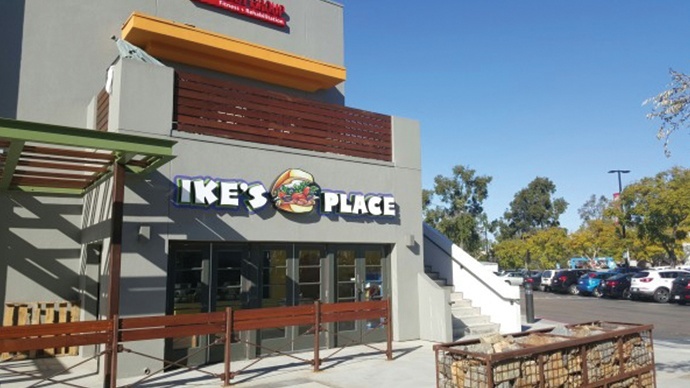 We are thrilled to bring the first Ike's Place to San Diego, adding momentum to its existing cult following. The space was designed with an indoor/outdoor layout, opening up to a redesigned community gathering area featuring art installations and murals created by local artists. – Omar Hussein, senior leasing agent. 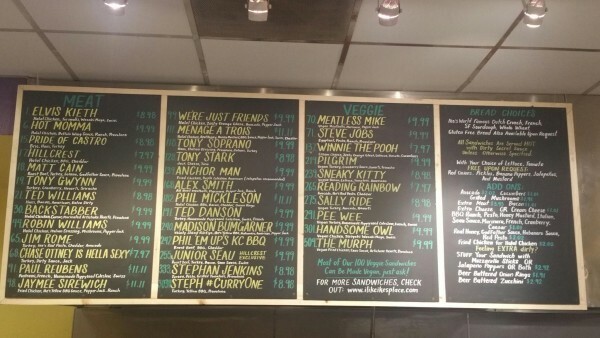 Ike’s Place first opened in San Francisco in 2007 and was founded by sandwich master Ike Shehadeh. It became so popular that lines would gatherdaily to order the unique sandwich offerings. The chain has grown to over 16 locations and recently opened at Regency’s The Hub | Hillcrest Market. Ike’s Place occupies 1,100 SF along with patio seating. The Hub location will be the first to serve beer and wine, pending approval of its liquor license. San Diego Eater stopped by during the grand opening celebration and gives details on three sandwiches found only at The Hub – the Tony Gywnn, Junior Seau and The Murph. Curious as to what exciting ingredients are used in Ike's sandwiches? Check out the article here and let us know your favorite Ike’s Place sandwich! The Hub has served the Uptown and Hillcrest communities for over 25 years; in 2014, The Hub underwent a $3 million renovation. Updated façades with a heavy focus on architecture, new public art, fresh retail and restaurant concepts in an open-air market environment, provide a gathering place to serve its urban community for years to come. Visit The Hub on Facebook to learn more about upcoming events and the exciting retailers.